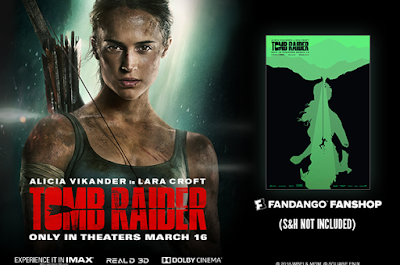 MaxRaider: "TOMB RAIDER" HITS THEATERS NEAR YOU! "TOMB RAIDER" HITS THEATERS NEAR YOU! "TOMB RAIDER" HITS THEATERS EVERYWHERE TOMORROW!!! Be sure to secure your tickets now through Fandango to receive a limited edition poster! This film is absolutely fantastic and Alicia Vikander kills as Lara Croft! Shadow of the Tomb Raider Officially Announced! Mattel Releases "Tomb Raider" Barbie!